Recently, I posted a survey asking individuals about their current interests and concerns about homeschooling. One of the questions included in the survey asked, “What are your biggest homeschooling issues?” I included several answer choices, and allowed survey takers to choose all responses that applied to their situation. Those who completed the survey highlighted several issues; however, the overwhelming issue was “knowing how to begin homeschooling”. You may or may not be aware, but although homeschooling is “customization central”, there are specific guidelines you need to follow. Your state of residence outlines these guidelines, and you must follow them in order to remain in compliance. Requirements vary from state to state, so you’ll want to make sure you are clear on what’s expected of you before you begin. If you have no idea about your state requirements, try a google search – “home school requirements for [insert state name]” or go to the Homeschool Legal Defense Association and search under your state. Also, you’ll want to research what local programs and organizations can be of assistance to you. For example, are there co-op groups you can join? Are their supplemental programs you may find helpful. My daughter, Sydney, will be taking advantage of the homeschool P.E. program at our local YMCA for the upcoming school year. I wouldn’t have known about that program without doing some legwork. If your child is old enough, it’s a good idea to involve them in making the decision to homeschool. This is especially important for children who will be transitioning from a traditional learning environment into the homeschooling environment. You don’t want to blind side your child by uprooting them without warning, as this creates an uneasy environment and may unintentionally communicate that their input doesn’t matter. If your child is not able to articulate their feelings about homeschooling, you many want to simulate the learning environment you plan to utilize and then observe how your child responds. Are they positively responsive? Distracted? Additionally, identify how your child responds in their current learning environment and determine whether a change would benefit or hinder their learning process. There are several homeschooling methods you can use to educate your child. However, don’t let that overwhelm you. Here are five of the most popular methods and a quick description for each one. For additional details visit Homeschool.com. Eclectic/Relaxed – This approach includes a combination of materials from different curricula and resources. Typically, instruction takes place in the morning and free time occurs in the afternoon. School at Home – Educational programs for this approach use a pre-packaged curriculum and do not include a lot of variation. You can create your own lesson plans or use pre-selected plans (included with the chosen curriculum). Unschooling – This method is based on interest-led learning. All content is driven by your child’s interests. There is no formal schedule to determine when instruction will take place. This is a “go with the flow” method. Classical – Parents using this method focus on the goal of teaching their child how to learn for themselves. All instruction is focused on the five r’s: Reason, Record, Research, Relate, and Rhetoric. Charlotte Mason – The basis of this method is that your child is deserving of respect and consideration. Therefore, the learning environment allows time for play, creativity and self-expression. Unless you are thinking about utilizing the unschooling method, you will want to determine the best time of day and days throughout the week that best support a positive learning environment. Consider factors such as who will be teaching your child, whether your child is most alert in the morning or afternoon, work schedules, and other family, work, or personal obligations that may present a scheduling conflict. Also, be aware that as your life changes, your preferred schedule may also change. Don’t be afraid to make adjustments where necessary. This is the beauty of homeschooling. Finally, test your preliminary plan (i.e., method, schedule). The summer is a great time to do this because you can use a weekday if your schedule permits or a Saturday. Simulate your school day and assess what works and what doesn’t work. This way you’ll be able to try and tweak things before you commit to a specific course of action. You can use free materials for your lessons, so you won’t need to spend any money while you’re testing. My Ultimate Homeschool Resource Guide has several resources for free worksheets and materials. 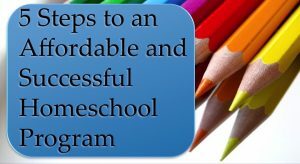 If you’re ready to get started on your homeschool journey and need more guidance, you may want to check out my course ==> 5 Steps to An Affordable and Successful Homeschool Program. 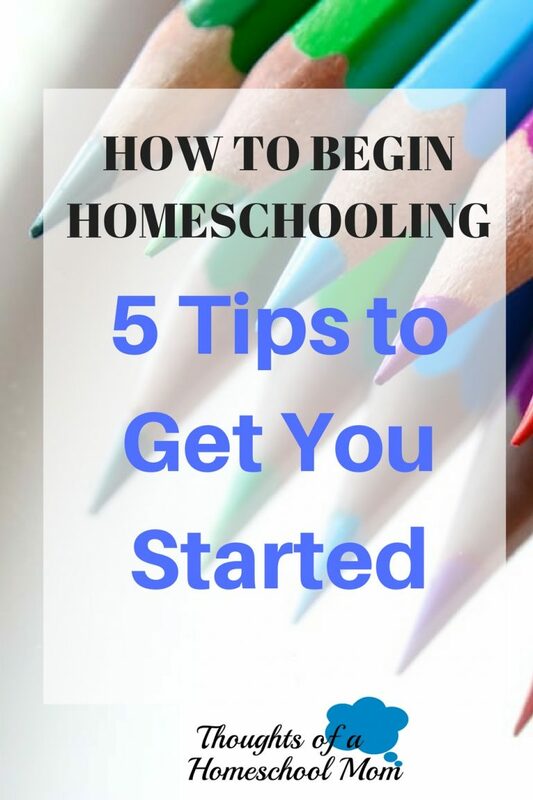 In this course I take a more extensive look at the five steps I’ve just discussed in this blog post, with the goal of helping families create a strong and effective homeschool program for their children. You can also access the course by clicking on “Work With Me” in the navigation bar. Are you currently homeschooling? What are some tips you’d share with someone who has questions about beginning their homeschool journey? Leave a comment below! Awesome article! Thanks so much for breaking it down so simply. We started out Charlotte Mason, but we quickly moved more toward unschooling. My oldest decided to go to public school as a freshman without ever having cracked a textbook. We weren’t sure how that would go, but she just graduated as valedictorian of her class and is now in college on a big scholarship. That is so awesome! Thank you so much for commenting. We are a relaxed/eclectic family most of the time, with a bit of Charlotte Mason. I haven’t tried unschooling, but I may test it out this summer. Thank you for commenting! Good article. My husband and I have discussed homeschooling and I’ve always wondered how to get started. We still have a couple years left (we have 2 babies right now) so you’ve given me some things to think about. Thanks! That’s awesome that you’re considering homeschooling. You may want to check out my free 5 day challenge. The challenge walks you through what I consider to be the first steps you should take before you begin homeschooling. Thank you for commenting! This is an awesome, comprehensive article on getting started with homeschooling! I had never heard of unschooling until recently, but still can’t really wrap my brain around that haha. I love schedules. I’m right there with you! We definitely operate on a schedule in our home. I would consider us a mixture of relaxed/eclectic and Charlotte Mason. Thank you for commenting! There is so much to consider when considering homeschooling! I began the research at the beginning of the year, and it was so overwhelming! Thank you for breaking it down into the different types! That helps so much to be able to know what the differences are when you’re researching. I’m glad my post was helpful. I agree, understanding the different methods for homeschooling makes a big difference when choosing curriculum, setting a schedule, etc. Thank you for commenting! Such great advice! I am currently homeschooling, and we keep a routine for the subjects that my daughter struggles with and will always avoid, like math and grammar. For the subjects she is eager to learn on her own, we use the “unschooling” method. I really like how you encourage homeschool parents to involve their kids in the decision-making process! Kids do need to feel like they have some type of control over their lives and that they have a say in how they learn. It helps them feel empowered and excited to learn. I’m glad you enjoyed this post! I think it’s so important to involve your children in the decision-making when deciding whether to home school. My daughter is only 6, but she’s very invested in her education because she feels a sense of ownership. Thank you for commenting! I am so glad you found value and that my tips were helpful. Best of luck to you on your journey! I love this blog as I am a homeschool parent. 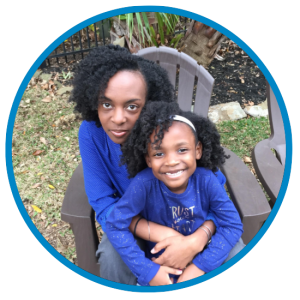 My daughter and I decided to take high school on our own and we have some joys and very few regrets about homeschooling but mainly it has been a positive experience. I believe our use of eclectic and unschooling has given her more of an opportunity to grow and develop her own ideas and thoughts about community responsibility and how to discover her strengths in family and faith. I love the way you set this article up so that it is easy to read and to understand and the links you shared are so appropriate. Great job on your blog and the posts! Thank you so much! I am so glad you all are enjoying your homeschooling experience. I truly believe our eclectic focus has helped my daughter blossom in a major way. I am considering adding more of an unschooling focus as well because the combination would fit well with her personality and the way she learns. Great simple steps for the getting started process! I have a 2 year old and 13 month old, but have decided to do all Preschool and kindergarten at home. After that, I’ll explore traditional schools or staying home further. We do a Montessori curriculum, which is kind of unschooling, kind of Charlotte Marson. I love being with my kids all day and seeing how their learning is evolving, even so young!! That’s wonderful! Yes, having an active role in your children’s learning process is truly a blessing. Best of luck to you on your homeschooling journey! This is a great post as it covers everything I discovered when I decided to take my son out of traditional schooling. We are a mix between relaxed and unschooling, depending on what’s going on in life as we travel as a lifestyle. When we still we do relaxed, when we’re on the move or new to a place we’re usually in “unschool” mode. I think it’s wonderful that you travel as a lifestyle. I’m going to check out your blog because my husband and I would love to add more travel into our lives and our daughter’s education. I’m glad you found value and I’m interested to see how you incorporate travel into your homeschool life.